How does Derrick Rose fit in the Cavs' rotation? ORLANDO, Fla.– Derrick Rose could return to the Cavaliers’ lineup for the first time since Nov. 7 during the team’s current five-game road trip. After playing in Orlando tonight (Rose has already been ruled out for that one) the team will next head to Minnesota, Toronto, and Indiana. But even more interesting than when he will return is what exactly Rose’s role will be. Rose last played in early November due to a sprained left ankle, coupled with bone spurs. But his imminent reinsertion into the lineup could potentially take a lot of pressure off Dwyane Wade. Head coach Tyronn Lue said that Rose would likely take minutes away from Wade in the second unit to give Wade some extra rest, especially as the Cavs get closer to the postseason. Rose could also take the place of Wade in entire games, especially during back-to-backs. Lue also said he already discussed the option with Wade. Wade started just three games this season before moving into the back-up point guard role to run the second unit. He’s currently averaging 11.1 points, 3.8 rebounds and 3.7 assists and has garnered plenty of attention as a potential Sixth Man of the Year candidate. Rose has played in just seven games this year due to his ankle injury (a sprain he suffered in the second game of the season against Milwaukee), averaging 14.3 points, 2.6 rebounds and 1.7 assists as a starter. 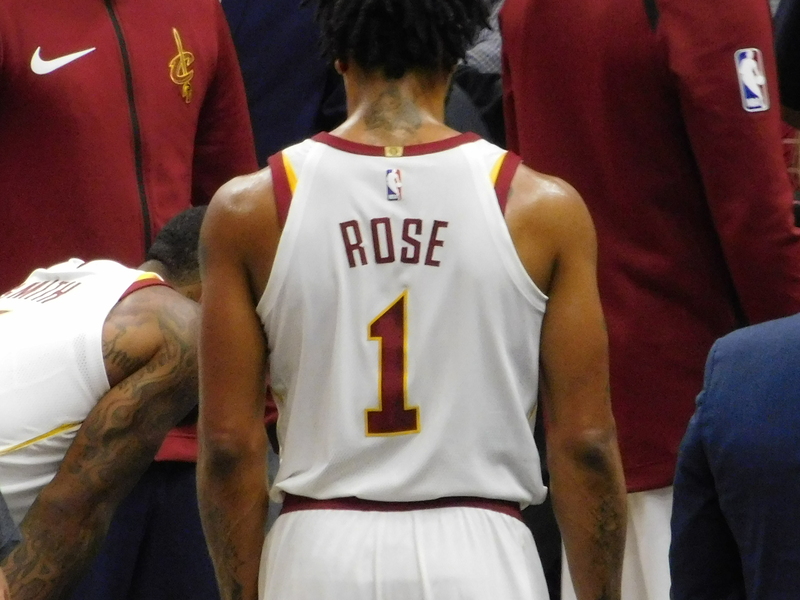 A few days before Thanksgiving, Rose left the team as he contemplated retirement after frustrations from his injury boiled over. Through it all, however, Lue and the team insisted there was still a place for Rose in the rotation, even once Isaiah Thomas returns to full capacity. For what it’s wroth, Rose is game for anything the team wants or needs. The former league MVP said that he has been ratcheting up his rehab, and that he hasn’t had any setbacks or much pain. He also said he has now progressed to court work and conditioning. Surgery for his bone spurs, which was initially on the table, has also been ruled out according to Rose. But most importantly, Rose is just grateful to be a part of the team.